This is a clear lexan plate. The best thing for making your custom clear windows! You can trim or cut it easily and create shape you want. It can be bent, will not break - it is very flexible like a lexan body. The plate has double sided foil protection against scratches. We recoomend using thick Surefix glue to attach lexan into your hardbody. 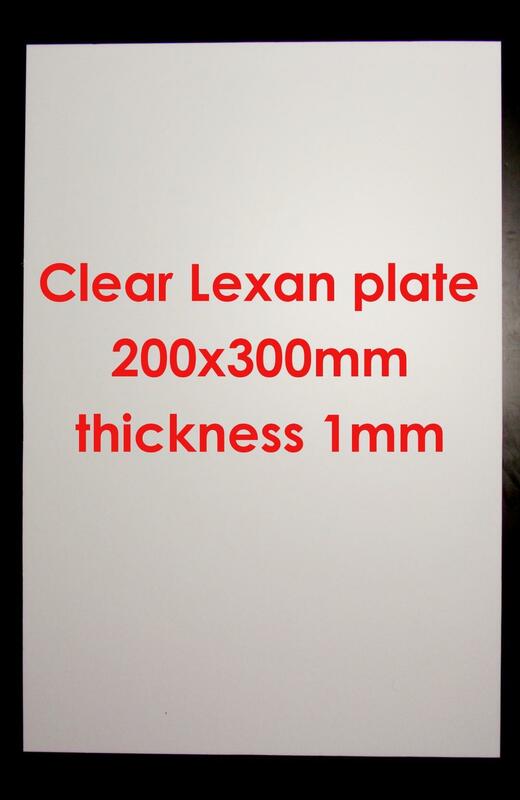 Lexan plates are always in size 200x300mm (ca A4 paper size) that is ideal for shipping. 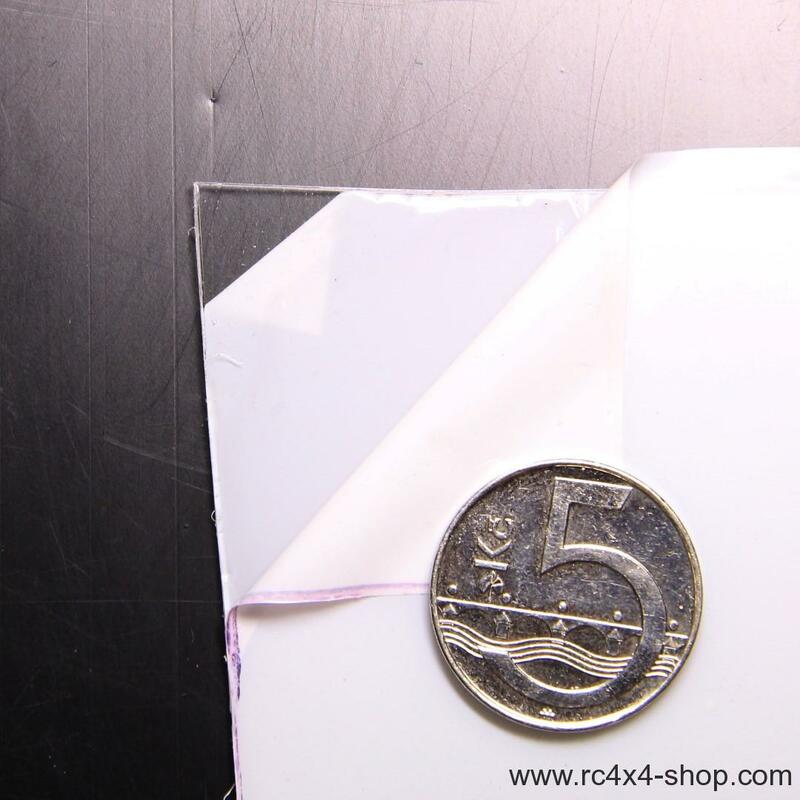 Tolerance of size is +-5mm. We are shipping these plates very carefully packed on strong cartoon sheet used for book transport.